Salutations from the Casa dei Bambini Staff! Knowledge is ubiquitous. It is like a free floating seed waiting to find the best place to plant its roots. Yet, sometimes the information gets caught up and there needs to be someone to help facilitate its planting. With time, patience and nurturing the seedling will realize its potential and will begin to grow on its own. All the surrounding nutrients will saturate the roots and the seedling will quickly begin to sprout. Each day the seedling will take in more and more resources and, with encouragement, will shoot up and show signs of independence and strength. This process will continue forever because the seedling remembers that as long as there are resources available and it is willing to spread its roots to reach for them; it can achieve great heights and flourish into a unique and great future. It is our philosophy that children learn from doing and they educate themselves by taking in their surroundings. They also look to others to explain the concepts that they do not understand. Once they are given the tools and the necessary knowledge of how to educate themselves further, their minds seek to consume and understand more and more information. Our staff at Casa dei Bambini Montessori School believe in every child’s potential and will strive to encourage each one’s individual growth. 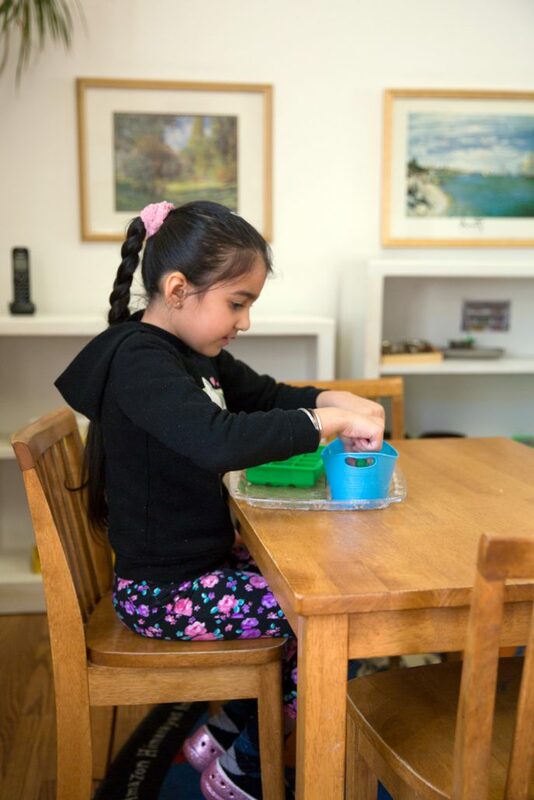 We focus our curriculum on Dr. Maria Montessori’s “Montessori Methods” and use the prepared environment to facilitate your child’s acquisition of all the knowledge that she/he can obtain. If you require additional information, please do not hesitate to contact us.